DAVID LE/Gloucester Times. Chuck McCarthy, of Ipswich, casts his fishing line out into the Annisquam River in Gloucester on Friday morning. 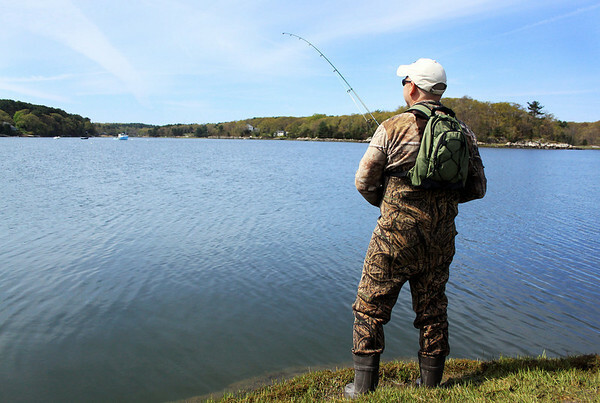 The bass fishing season has started and many fisherman cast along the Annisquam looking for the perfect catch. 5/13/11.